Like Botox, Dysport is a purified form of the bacterial substance botulinum, and it smooths lines by blocking the nerve signals that cause facial muscles to tense and create wrinkles. It treats forehead wrinkles (worry lines), furrows between the eyebrows (frown lines), and starbursts at the corner of your eyes (crows feet). 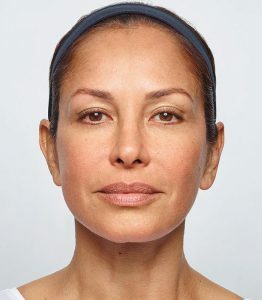 Dysport and Botox are similar, but Dysport is composed of smaller molecules, which means it spreads more easily than Botox. This makes it ideal for certain treatment areas and less ideal for others. It can be confusing, but our providers will answer all your questions and help you determine what best suits your needs. Dysport is for almost anyone, ages 18-65. 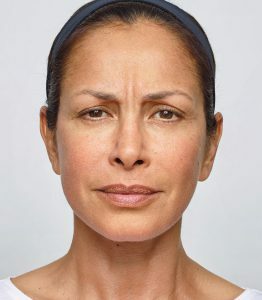 With regular treatments, it actually prevents wrinkling in younger patients. For older patients, it smooths and relaxes wrinkles and prevents the deepening of wrinkles that already exist. Don’t use Dysport if you are allergic to cow’s milk, if you are pregnant or breastfeeding, or if you have a muscle or nerve disorder. Dysport is delivered by tiny needles with minimum pain, and treatment takes about 10-20 minutes. You may have temporary swelling, redness, or minor bruising, but there’s no downtime. It’s helpful to stop taking anti-inflammatories such as fish oil, Advil, and aspirin a week before treatment to minimize bruising. Avoid drinking alcohol 48 hours before your treatment. You’ll see improvement in wrinkles within days, and results may last for up to four months.